1. 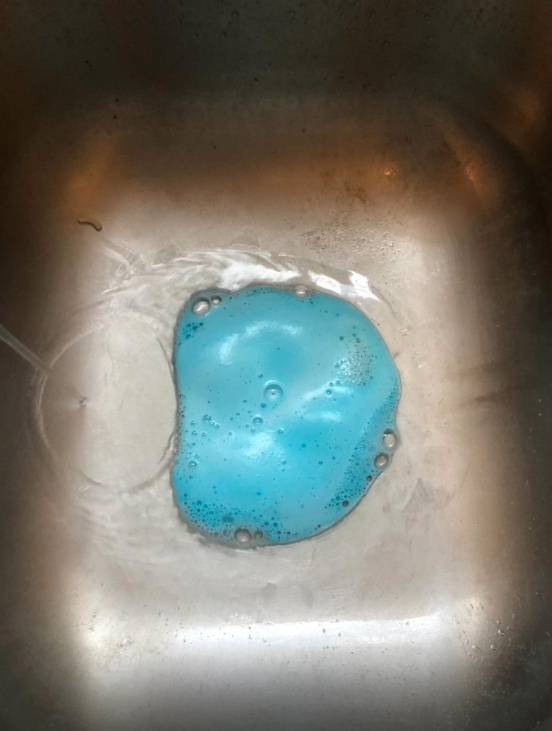 Fill a dishwashing wand with vinegar and dish soap, then bust through (and prevent) soap-scum and hard-water buildup by scrubbing down the walls + door *while* you shower. It's the perfect excuse to stay in the warm steam just a little big longer! Just don't forget to rinse well afterward. From Smart School House. Get a dishwand plus two sponge refills on Amazon for $12.99. 2. 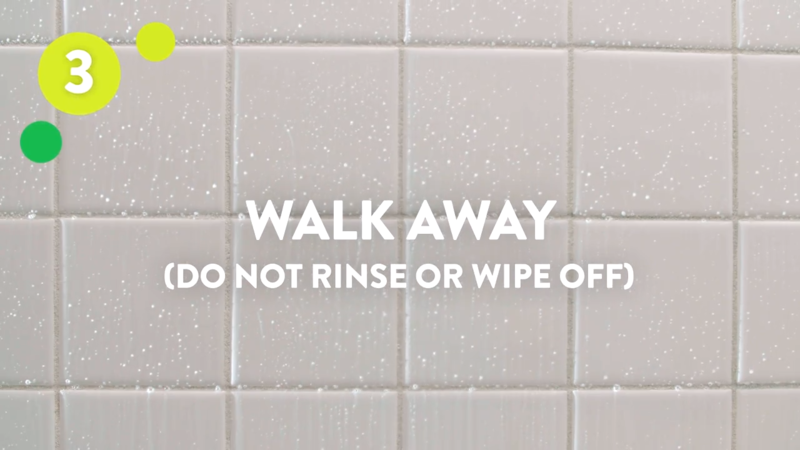 Or mist your shower walls, curtain/door, tub, fixtures and floor after you turn off the water and you'll (almost) never need to deep clean your shower at all. This daily shower cleaner prevents buildup of all kinds of nasties, including the dreaded soap scum and limescale, with no need to scrub or rinse or anything. 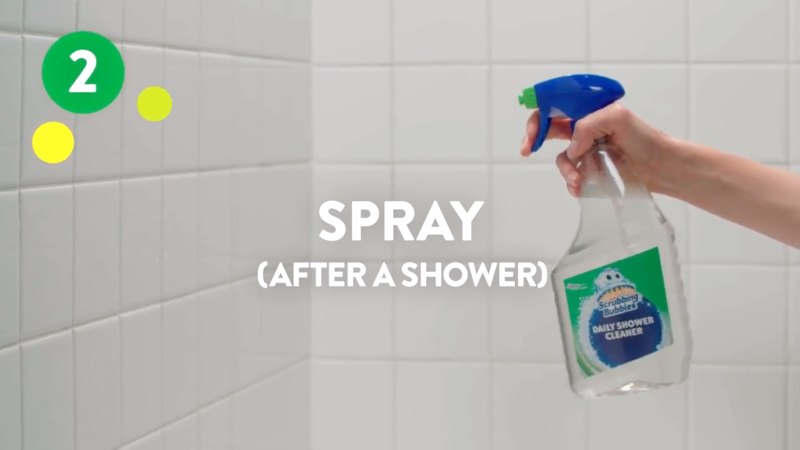 It has a specialty ~wide spray~ that you can adjust to be horizontal or vertical; whatever covers your shower best. Get two bottles from Walmart for $5.88. 3. Wipe away built-up layers of soap scum and hard water stains on your glass doors with the help of a soft cleanser — the reviewer who took the photos below said they didn't even have to scrub. Get a bottle on Amazon for $7.56. 4. 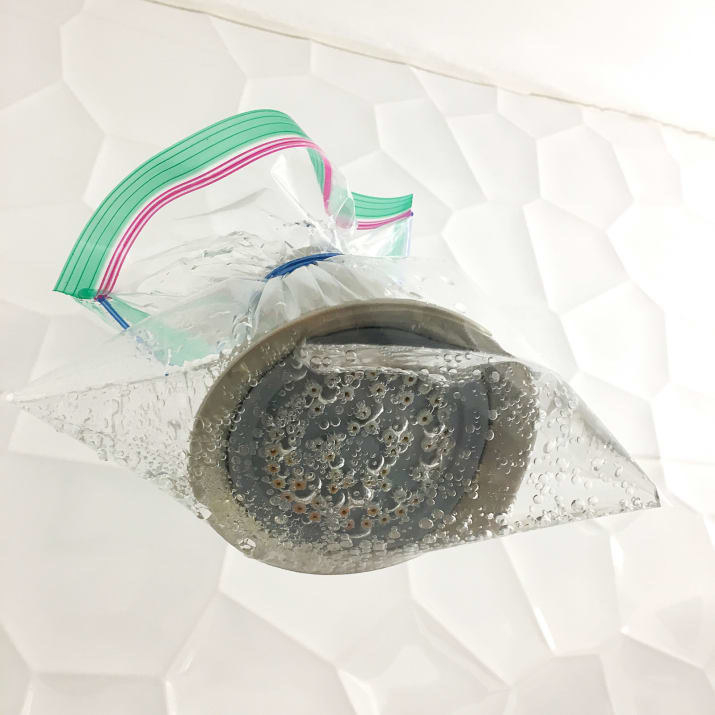 Secure a plastic bag filled with vinegar + baking soda around your shower head to descale hard water stains and break up mold or mildew while you go back and sit on the couch. That's exactly what I did last Sunday morning, and it worked like it always does! 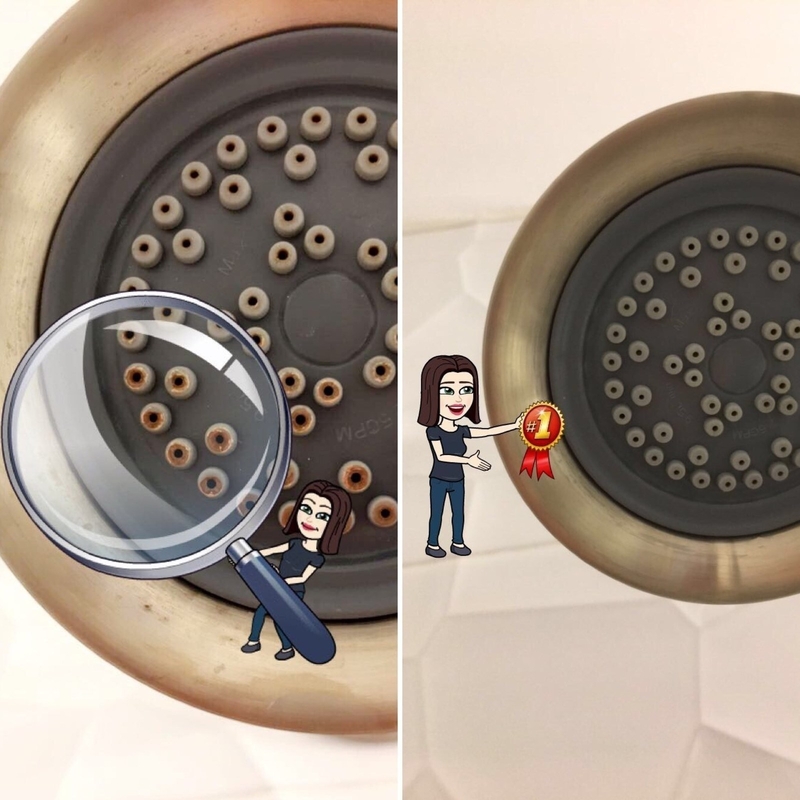 See my full shower hack review. 5. 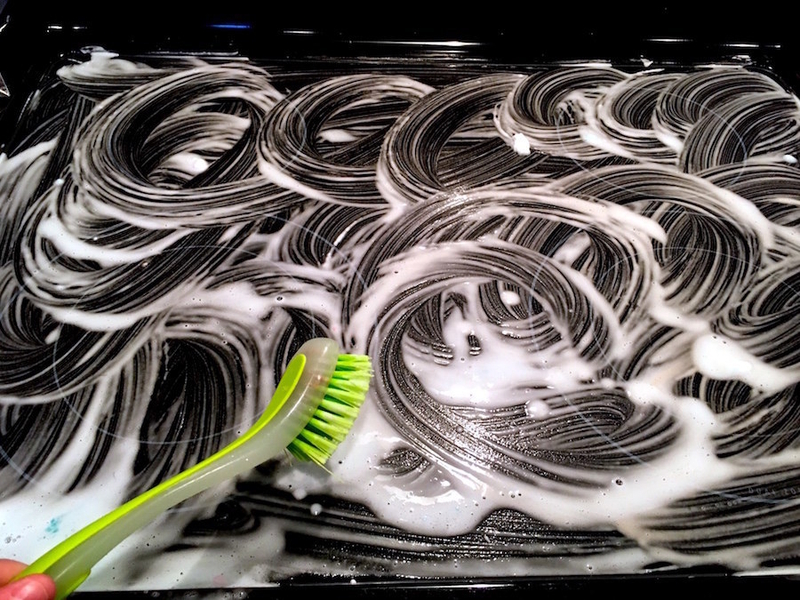 Brighten your greying, dirty, and mildewed white grout by running a bleach pen over all the worst spots. 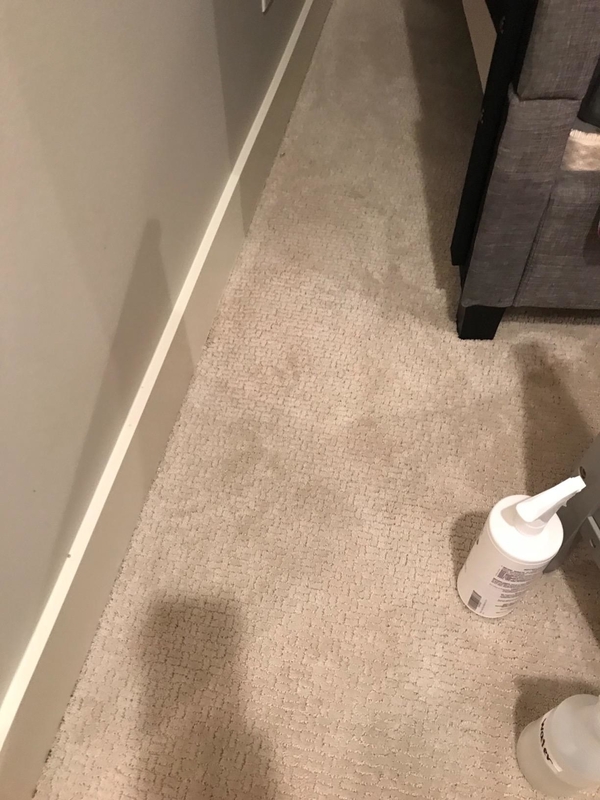 From Family Handyman, who make the v. smart note that this only really works for white grout, and could even change the tone of any grout with color. Get a bleach pen as an add-on from Amazon for $2.99. 6. Cut down on your elbow grease while still getting gaps, corners, hard water stains, and (any color) grout clean with a power scrubber. It scrubs up to 60 times each second(!!) so you all you have to do is sit there and leisurely wave it around a little. 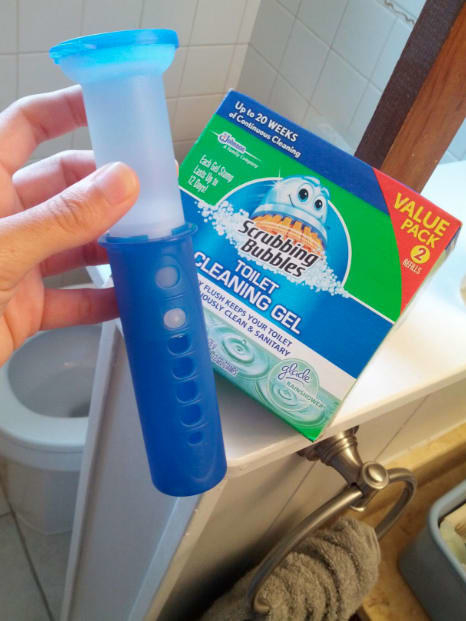 Read my full Rubbermaid power scrubber review for more, or get one from Target for $19.99. 7. 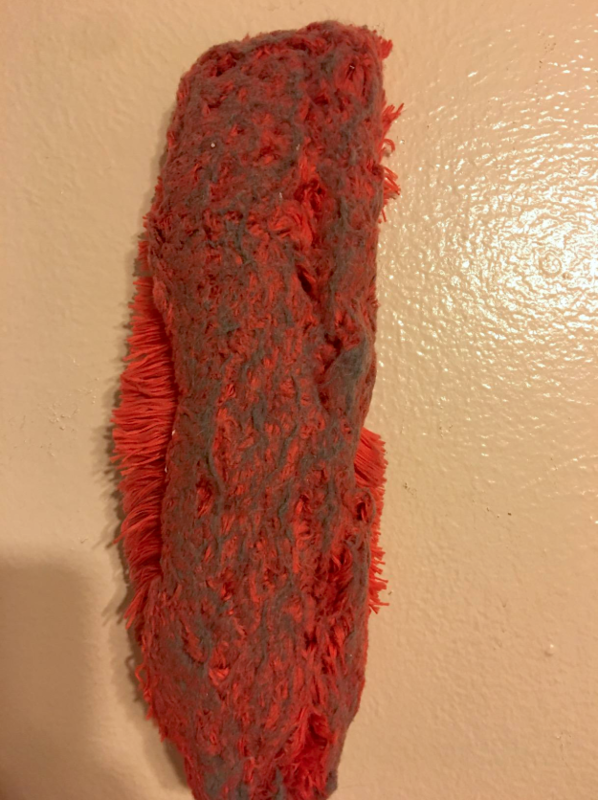 Save yourself lots of fruitless scrubbing with a toilet brush and use a pumice stone to quickly banish those impossible rust and mineral rings. 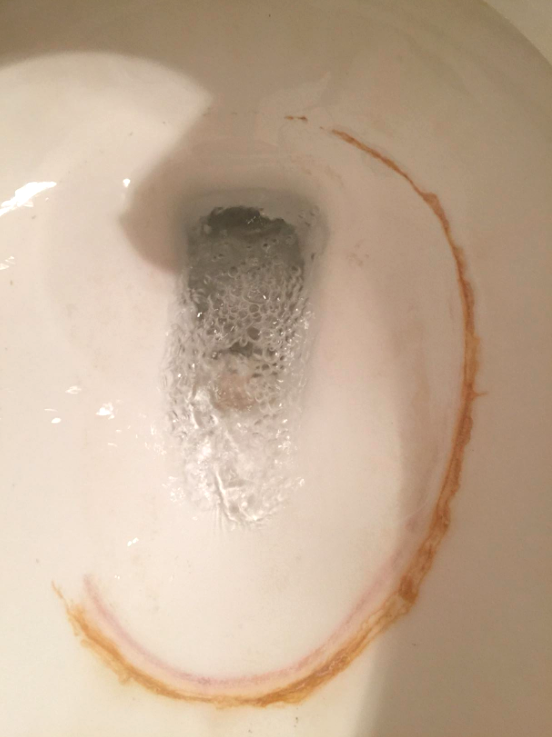 Unfortunately there's not really a ~lazy~ way to scrub hard water buildup out of a toilet. But this is perhaps the ~easiest~ way, at least according to reviewers. Get one from Amazon for $9.64. 8. 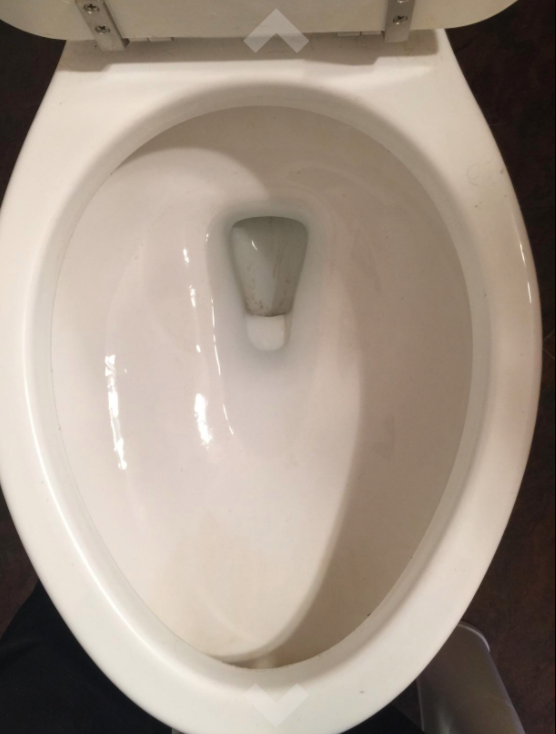 Then stamp some gel into your clean toilet to actually keep it that way for weeks and months at a time. All you have to do is re-stamp as needed. If you can't imagine not using your toilet brush, you can use the small remaining bit of gel to scrub down the bowl before applying more. I used this in college and can personally attest it really does work! 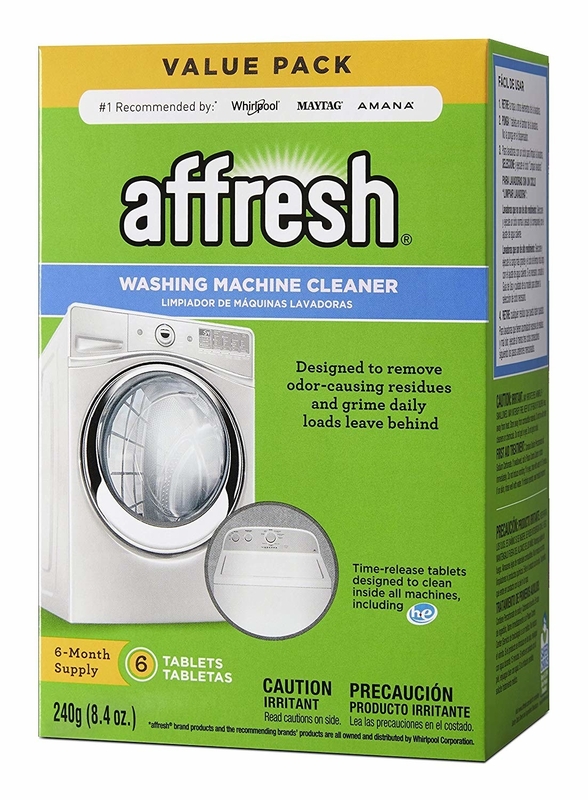 Get enough to keep your toilet clean for up to 20 weeks for $6.35 on Amazon. 9. 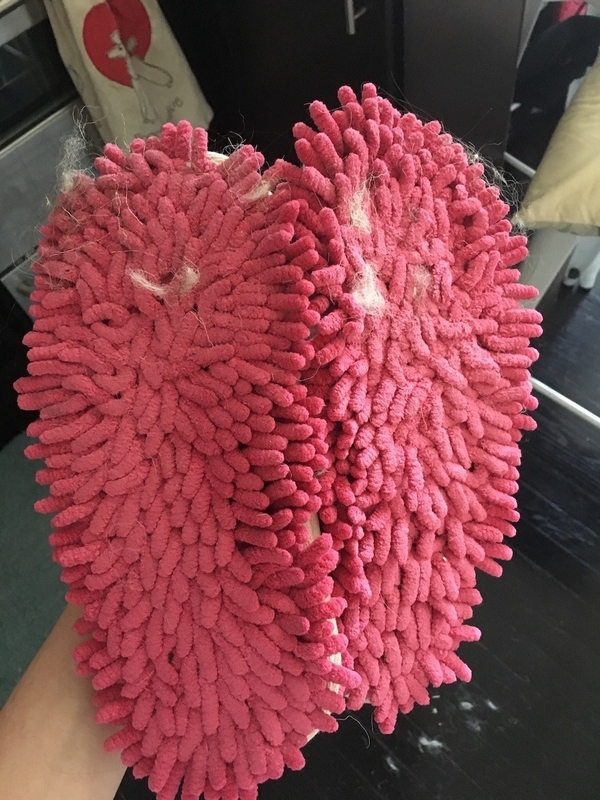 Switch to wearing sweeper slippers every time you're at home, so as you walk around, you're also picking up all the dust, fuzz, and hair lurking on your hard floors. Of course these only really work on hard floors like wood or tile. And even then, they'll pick up *some* stuff, but not everything — to pick up more dust, crumbs, and debris, you have to put a little effort into using your feet as brooms and sweeping everything into one pile. But when I wore them for a week, I did that way more often than I expected to, and my floors were cleaner because of it! 10. 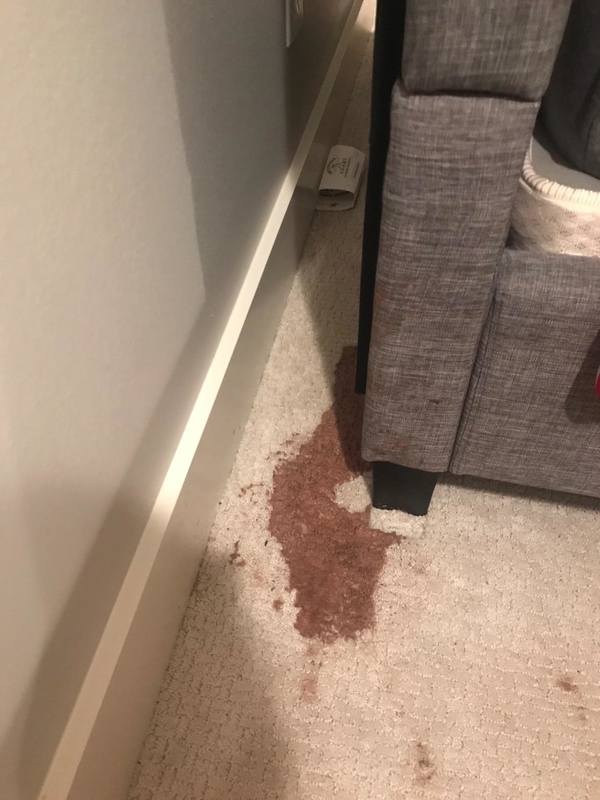 Leisurely dab up even the most impossible and old set-in carpet and upholstery stains with the help of a spray-and-blot spot remover. Get it on Amazon for $11.19. 11. Have pets that shed? 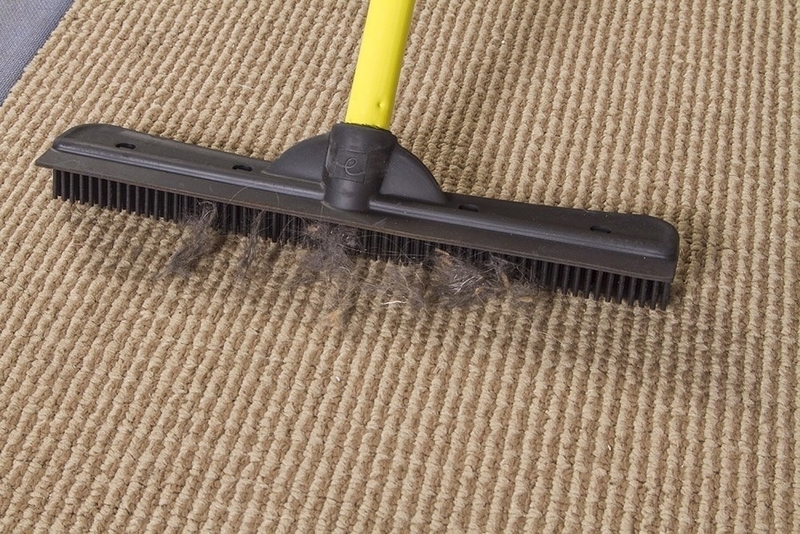 Pick up every last little bit of their fur that's embedded in your carpet using the squeegee-side of a rubber broom. It also works wonders on hardwood floors and tile! It won't take very long for this thing to pluck every last piece of pet hair out of your space. Get it from Amazon for $15.41. 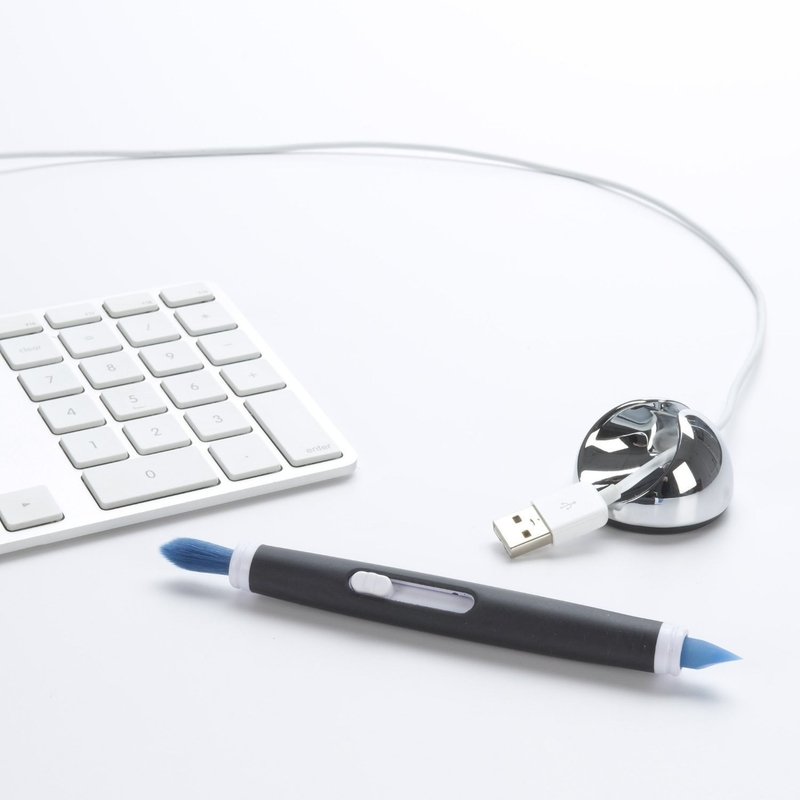 Promising review: "This thing just plain works. 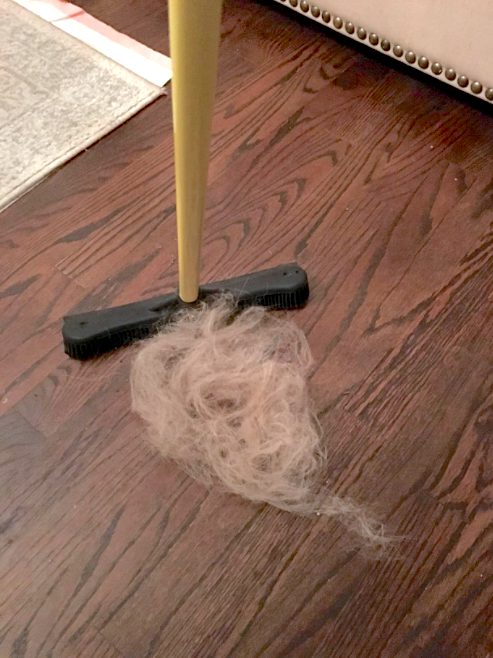 We got a golden retriever last year and were told he didn't shed, but in the spring he started shedding badly. The bristles pulled the hair up then caught the tufts and spread them around. I found that using short quick strokes with the rake turned upside-down got the best results. The backside is more like a squeegee and helps pull the hair up in long rolls and keeps the hair in one big pile." —Nick V.
12. 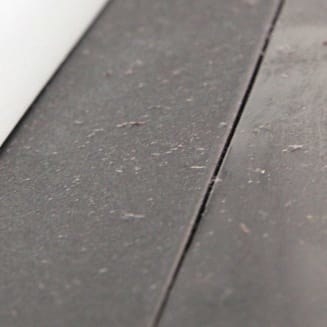 Pop your vacuum filter in the dishwasher so it's ready for whatever dirty carpets and floors you need it to clean. From A Girl And Her Needle. 13. 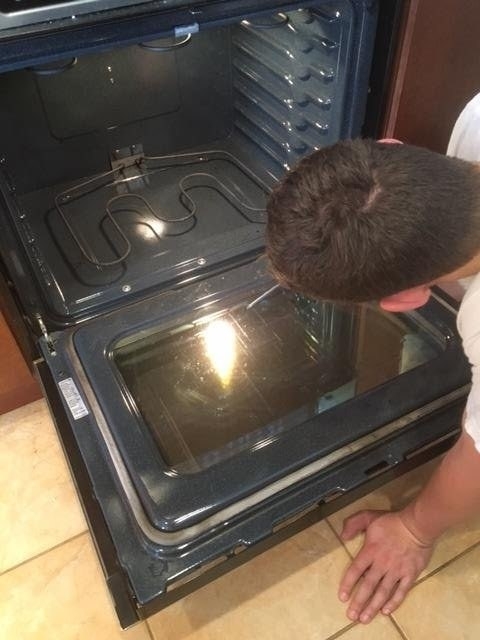 And clean a bunch of other things all at once while you go and do literally anything else: dusty AC vent covers, sticky stove vent hood filters, grimy glass light covers, and even wrenches and screwdrivers can stand a go in the dishwasher. 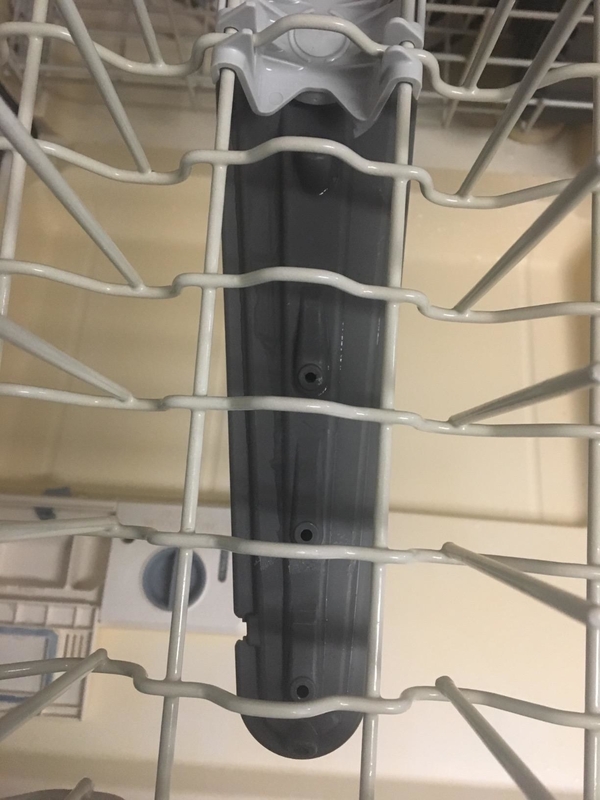 For more, check out 16 Ways To Use Your Dishwasher To Clean Almost Everything You Own. 14. 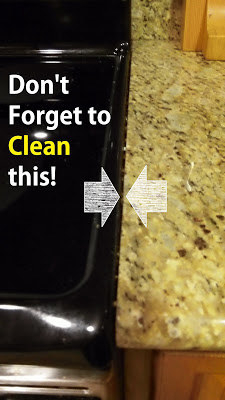 Then clean all the gunk and scum out of your dishwasher by running it empty with a cleaning tablet. If cross-contamination has you concerned, this will cover you! It also helps dissolve any hard water buildup. Get six tablets for $4.59 on Amazon. 15. 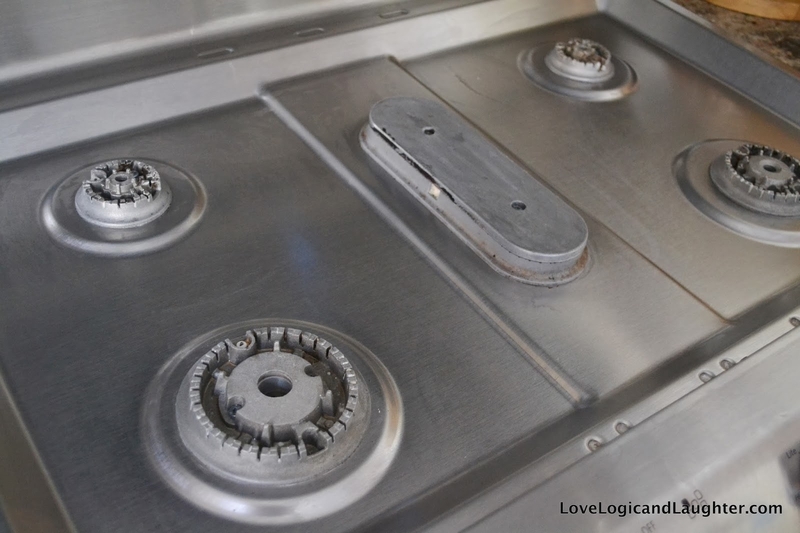 Pledge cleans and polishes your stainless steel in a single, quick, satisfying step. 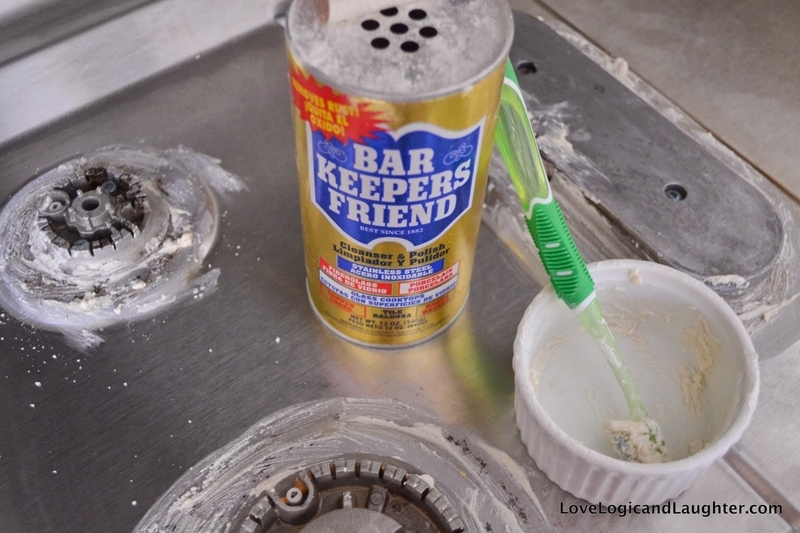 I've cleaned a couple of different stainless steel fridges this way, and I found it does really work! You just allow the Pledge to dry, then buff off in circles. From The DIY Girl. Get two cans of Pledge multi-surface cleaner from Walmart for $8.96. 16. 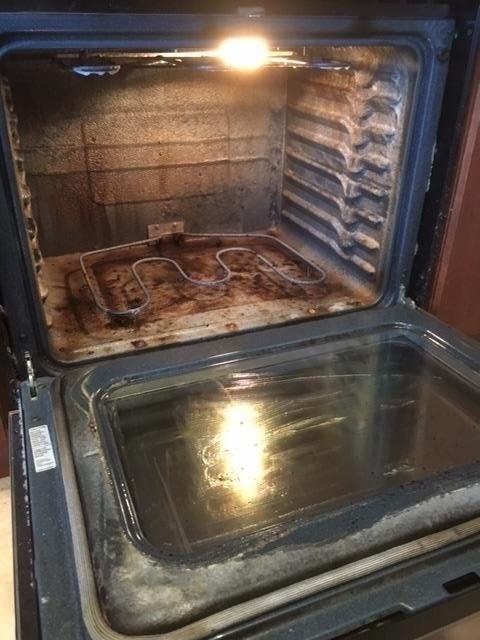 Spray some fume-free foam cleaner in your oven, let it all sit overnight, then easily wipe away the crud in the morning — the oven will look brand new. Technically, you can let this sit anywhere from two hours to overnight to get results. And while you might have to do *some* light scrubbing, it should be much easier than it would've been without this cleaner! Don't forget to spray it on the racks too (unless your racks have a special coating on 'em). Get a 24-ounce can on Amazon for $4.97. 17. 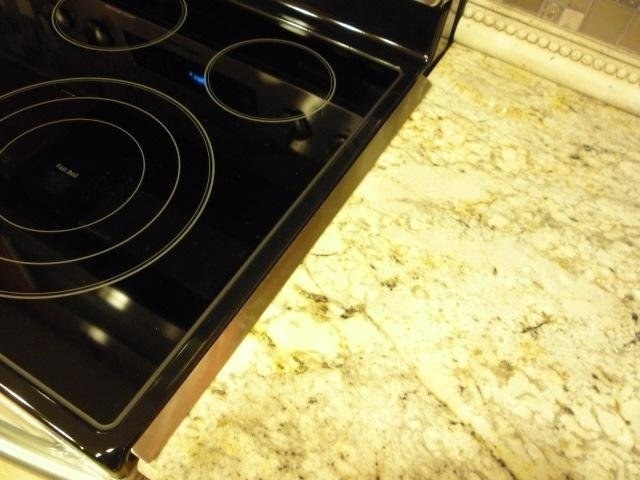 Shine up your stovetop with five minutes of concentrated work: Drizzle on some Dawn and hydrogen peroxide, sprinkle with baking soda, and vigorously scrub in circles with a dish brush. Then just wipe clean to reveal the sparkle. From My Thirty Spot. Get a highly-rated dish brush from Amazon for $4.99. 18. 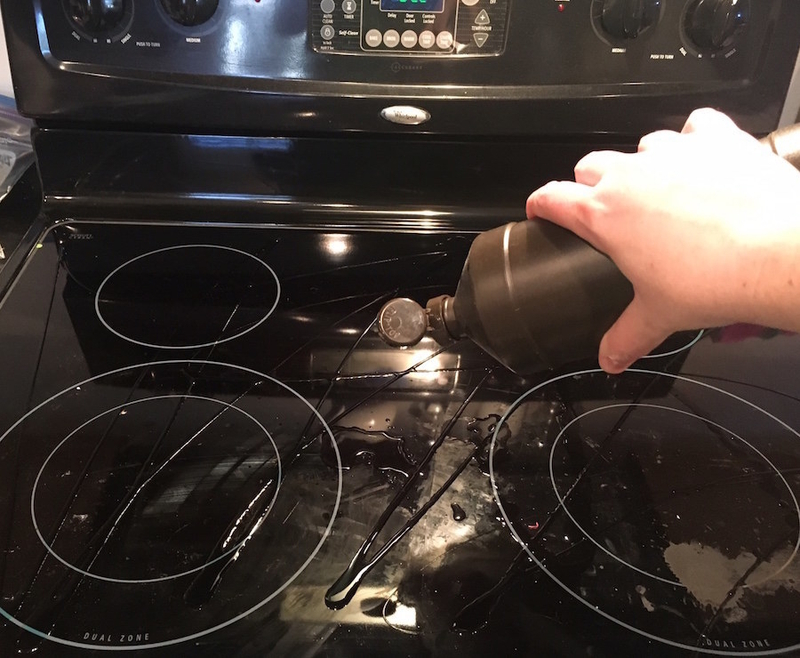 Make a paste with water and a polish cleanser to easily scrub off cooked-on gunk from your stainless or enameled gas stove. 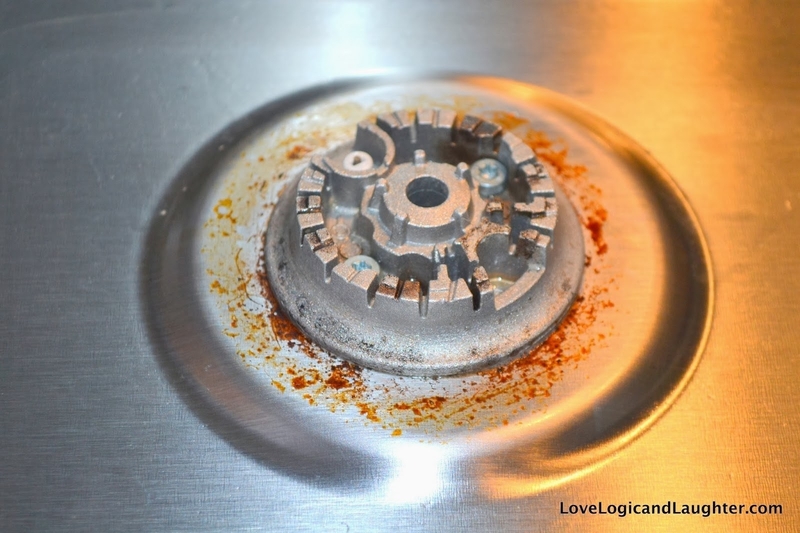 Logic and Laughter added a few drops of water to make a paste, then scrubbed it onto each dirty burner, let it sit for a few minutes, and wiped it up. This would be even easier with that power scrubber from number six! (It's $19.99 at Target). Get two 11-oz cans of polish cleanser on Amazon for $11.52. 19. 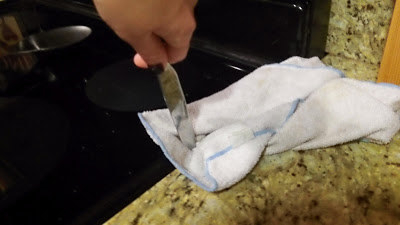 Run a knife wrapped in a damp cloth through the gap between your oven and your stove to extract all the crumbs and crud lodged in there. From Home Keeping for All. 20. 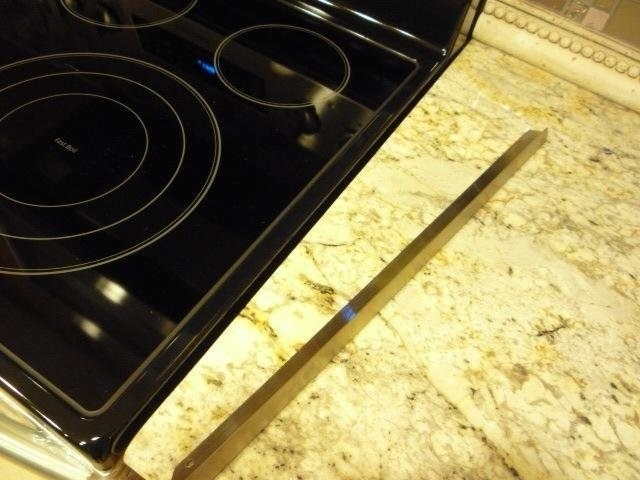 Then cover that gap with a pair of stainless steel covers so you never have to clean that spot out again. They simply slide right in there, or you can use an included adhesive to make 'em more permanent. Get the pack of two on Amazon for $27.99. 21. Dissolve hard water stains on your water faucets by wrapping them up in vinegar-soaked paper towels for an hour — they'll wipe off in one go. 22. 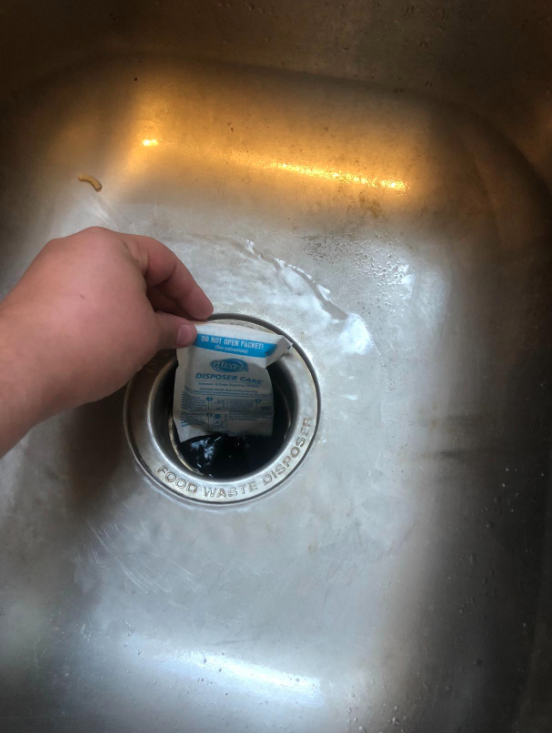 Grind up a garbage disposal cleaning packet — its foam will reach into the depths of the disposal to clean every. single. last. inch. Note that if you're disposal's clogged, though, this definitely won't take care of the problem. For that, you'll probably need to call a plumber. Get a pack of eight on Amazon for $9.97. 23. 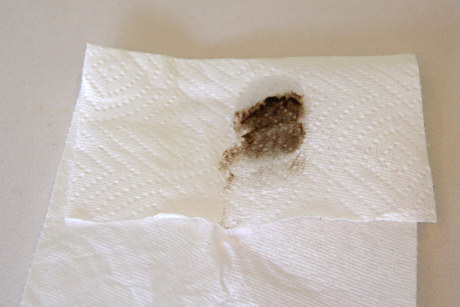 A few drops of mineral oil (or even olive or vegetable oil) on a paper towel is perfect for picking up that grimy, sticky dust that seems to inevitably accumulate on your stove and vent hood. If you do opt for veg, olive, or some other food oil instead, make sure to wash it off any surfaces thoroughly when you're done to prevent it from going rancid and smelling bad. From The Manly Housekeeper (which doesn't seem to exist anymore, sigh). Get a 16-ounce bottle of mineral oil on Amazon for $8.65. 24. 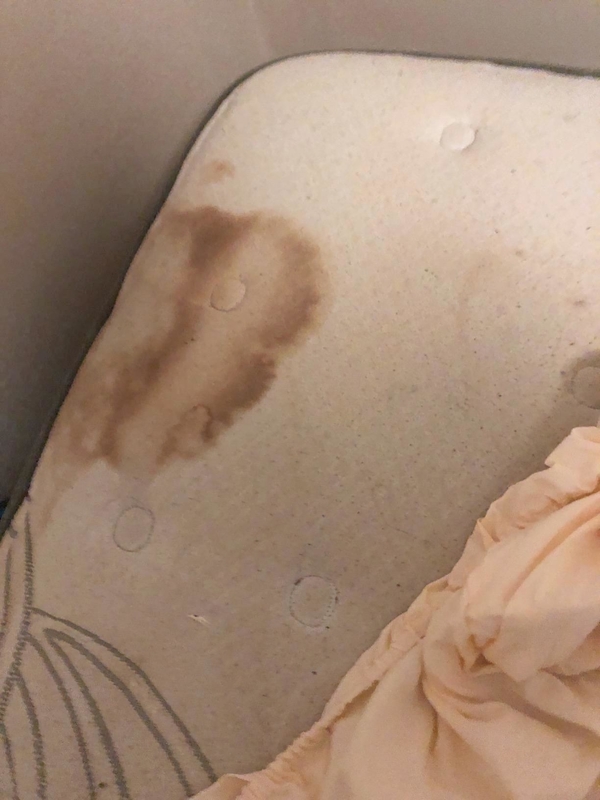 Grab that bottle of stain remover from number nine again and use it to make the years-old mystery stain on your mattress vanish right before your eyes. Or at least make it look, like, 1000x better. 25. 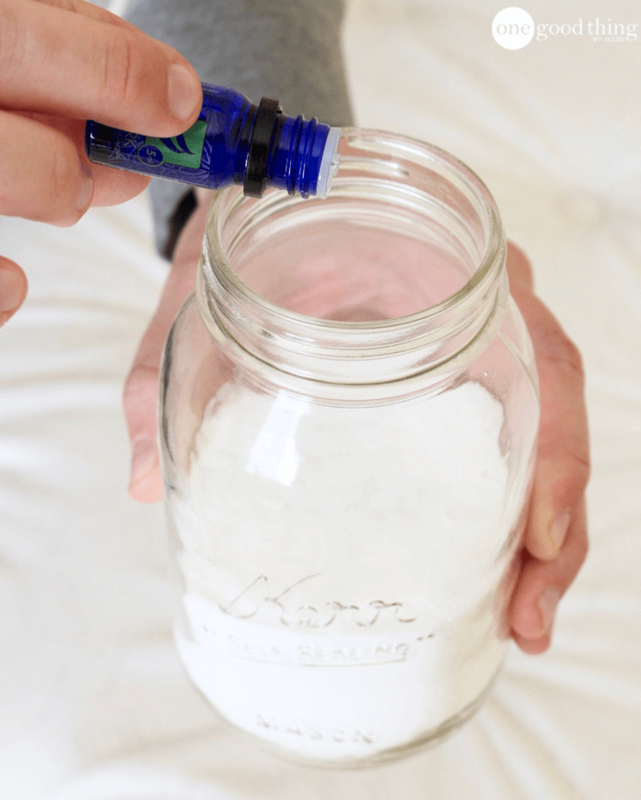 Then mix baking soda with a few drops of essential oil and sprinkle that on your mattress to absorb any funky smells. Then simply vacuum it up after it sits for a bit. From One Good Thing By Jillee. 27. ...along with all the dirt, cobwebs, and other grime on your window screens and screen doors. Get a pack of five lint rollers on Amazon for $10.25. 28. 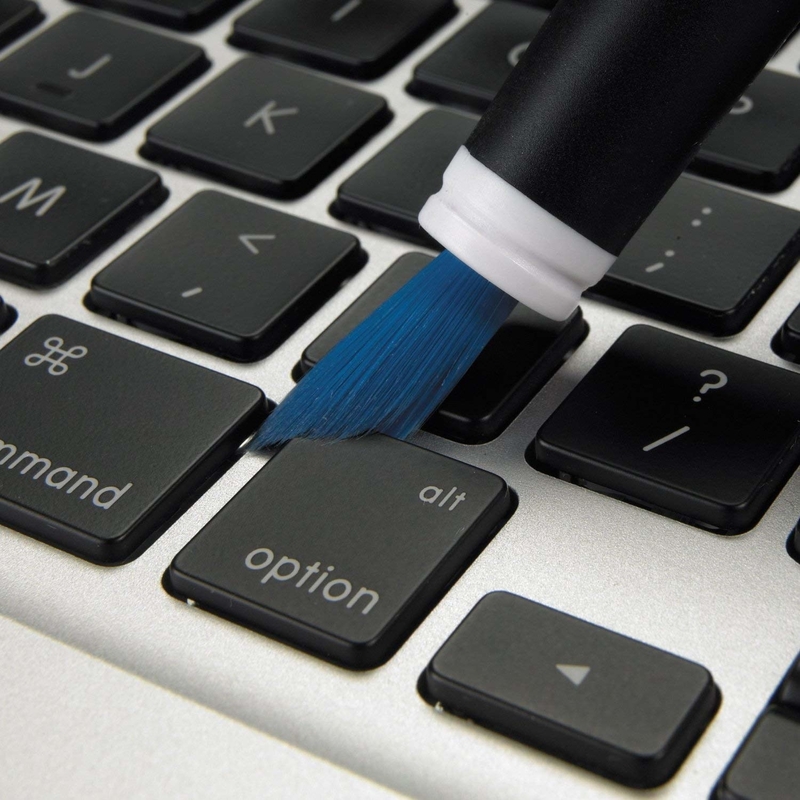 Sweep dust and dirt buildup off of your keyboard, mouse, or laptop using a dual-sided cleaning brush. One end = a super soft brush, the other = a gentle but firm-ish silicone wiper. Together, they work for a bunch of cleaning tasks: your phone, your DSLR, watches, and TBH even jewelry with hard-to-reach spots. It can capture the gunk in the tiniest gaps, like on the side of each keyboard key. 29. 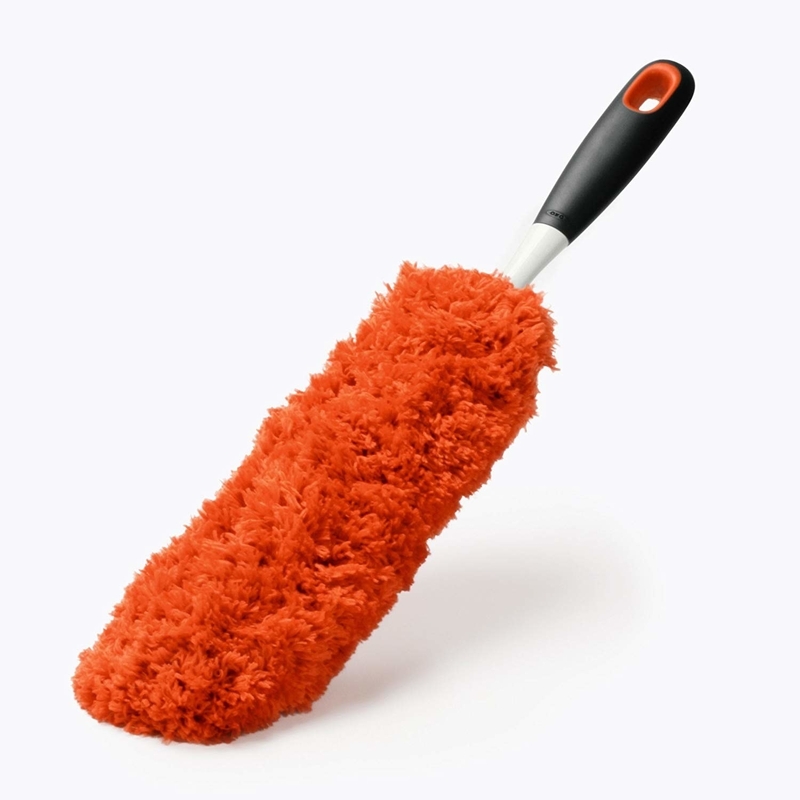 And wipe down all your other surfaces with a microfiber duster, which attracts and holds onto dust like a magnet, instead of brushing it into the air just to settle again later. Actually getting rid of the dust is THE key to a home that needs less dusting. This one from OXO is very thin so it can squeeze into tight crevices. To clean it you just run it through a gentle cycle in the washer, and air dry. 30. 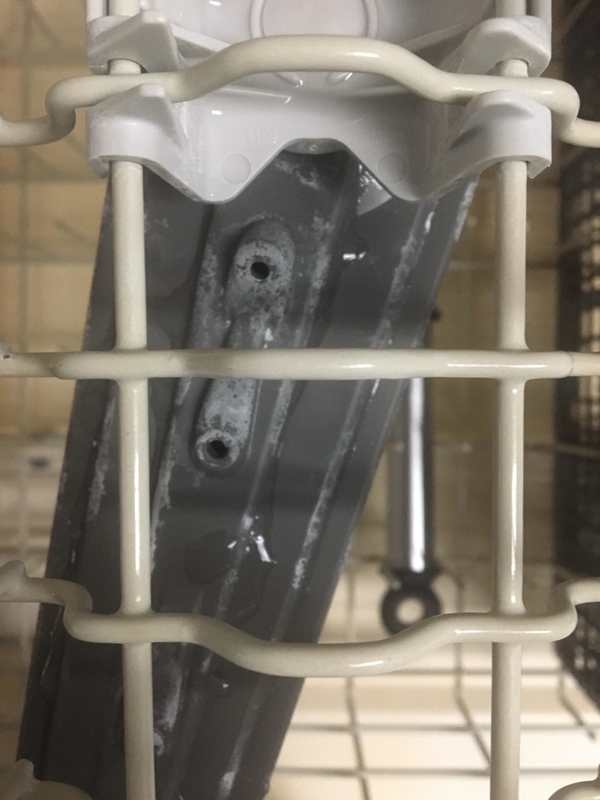 Washing machine smelling a little funky? 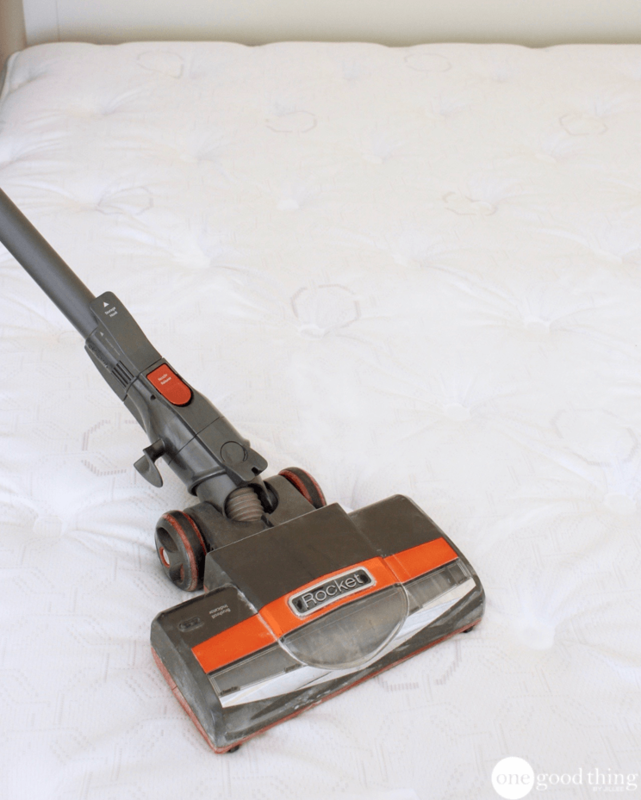 Run it on an empty cycle with hot water and vinegar to freshen it up. 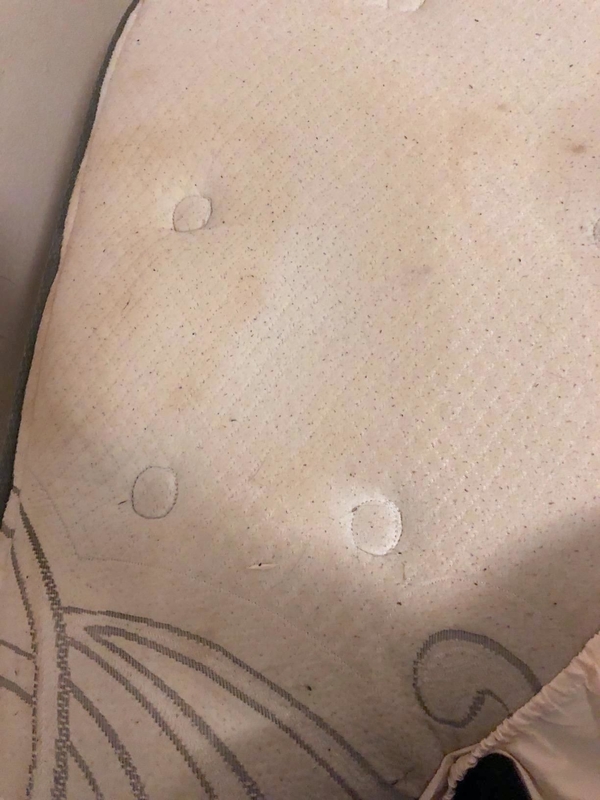 Depending on your model, you may need to directly add the vinegar to a full drum of hot water — read more on I Heart Naptime. 31. Or if you've tried that with no success — or are just the type to go big or go home — opt for a washer cleaning tab, instead. Get a pack of six on Amazon for $10.71.